MYZONE is a program for children aged Kindergarten to Year 6 run by Green Point Baptist Church over 5 consecutive Sunday mornings. It is a fun, creative program that children will love. Kids enjoyed MYZONE Adventureland in 2017 and this term we will run MYZONE ShoutOut, from 19 August to 16 September, 2018. ShoutOut is all about Thankfulness, encouraging the children to be thankful for their families, friends,and all that they have in their lives. In our culture of needing the latest and greatest, we want to challenge children to look for things they can be thankful for. There is always something we can be thankful to God for! 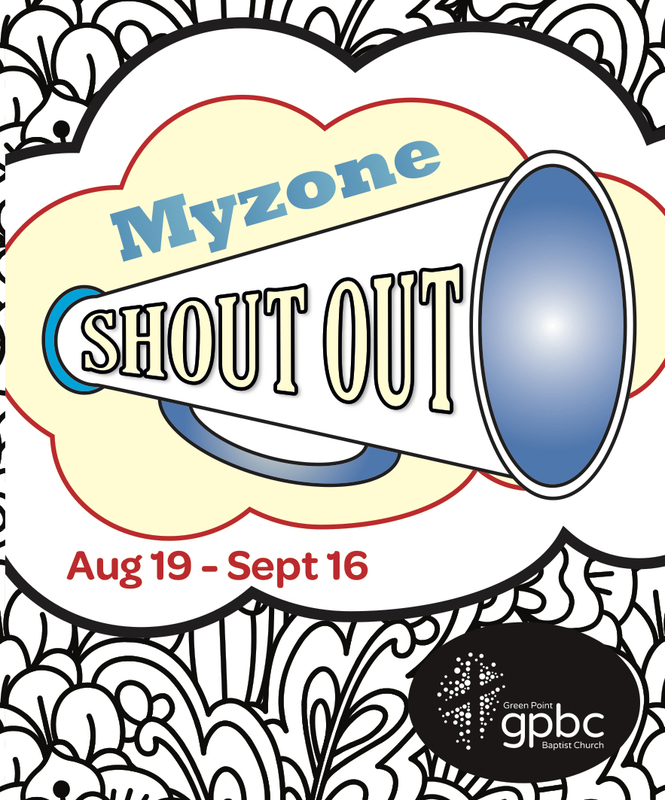 To register, please drop completed MYZONE Registration Form (below) and payment to Green Point Baptist Church office or scan/photograph and email to office@gpbc.net.au and bring payment on August 19. Contact Louise for more information or call the church office on 4369 1585. I give permission for my child to participate in MYZONE at Green Point Baptist Church. I am aware that Christian teaching and values will be part of the program. I am aware that photographs or video footage may be taken of my child and I understand it could be used for the purposes of promoting MYZONE. Click the submit button below to make your payment and complete registration. Payment can be made by credit card or PayPal.